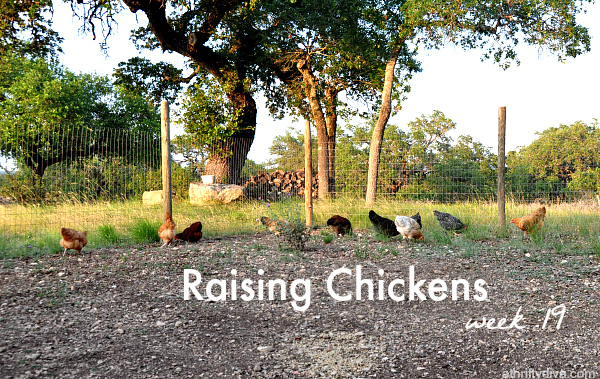 It has been a journey raising backyard chickens. My 12 pullets are about 19 weeks old today. 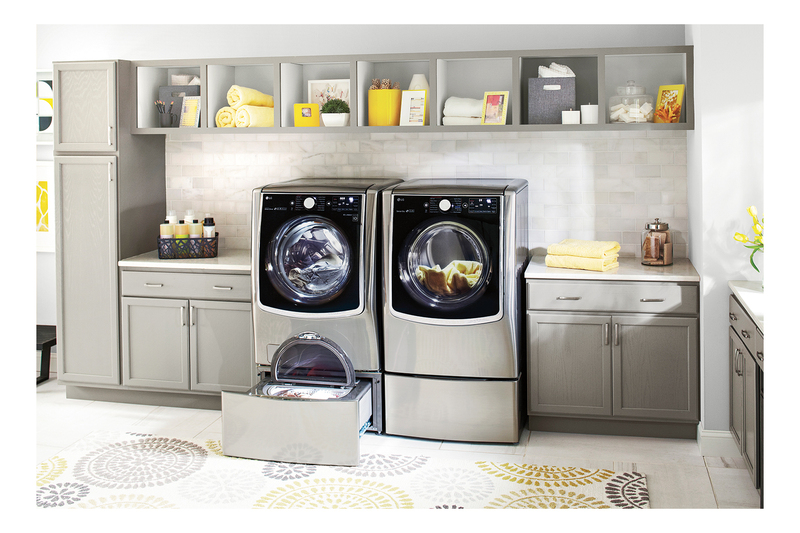 They get into a little bit of trouble around here, but boy are they entertaining. I didn’t realize how attached I’d get to them and their well being. 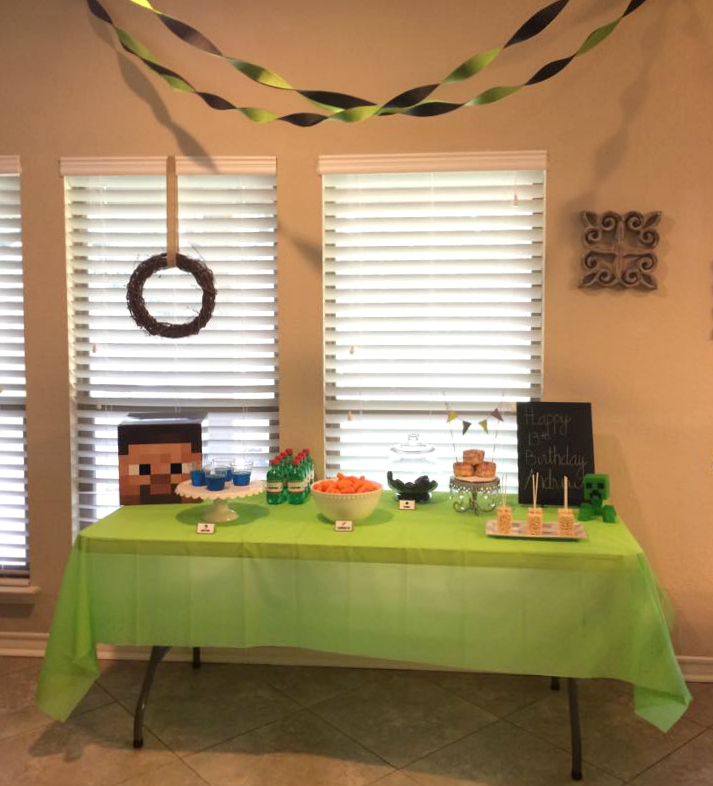 They haven’t laid an egg yet, but we are patiently waiting and waiting. The average laying age is 20-25 weeks, so any day now. Right?! I don’t know how much more waiting I can take. 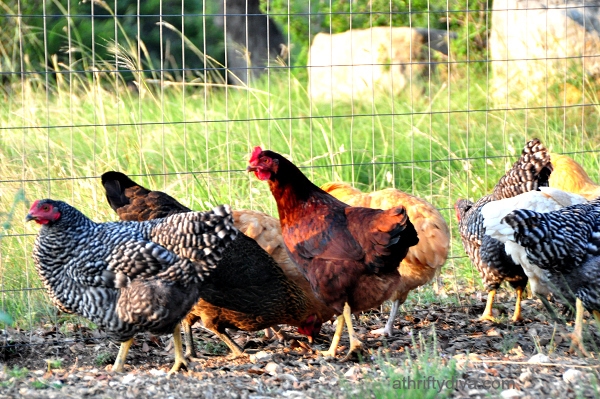 The girls spend their days in a 20 X 20 fenced in area, where they do whatever it is chickens do to pass the time. It’s a large open space that used to be covered in grass. The girls have done a great job at turning it into their foraging haven, revealing all of the rocks that our Hill Country land has to offer. Our dogs have also done a great job of keeping the girls mostly safe from predators. 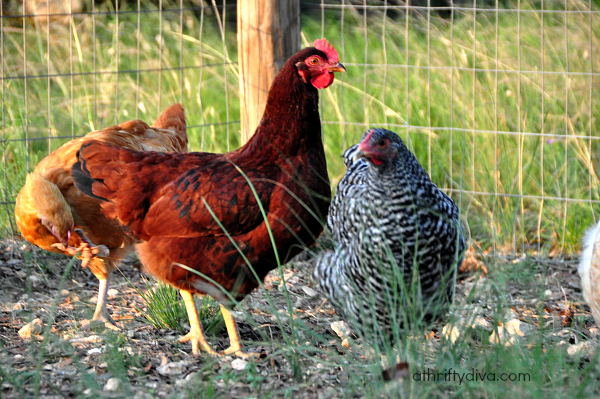 The girls now know to run to their coop the minute our dogs start barking. Their own personal bodyguards. 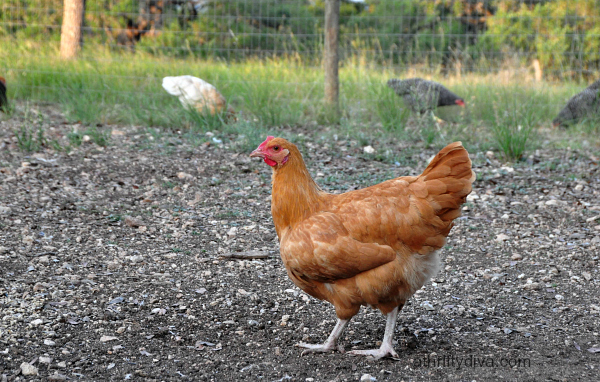 Our flock consists of (1) Rhode Island Red, (3) Barred Plymouth Rocks, (4) Ameraucanas and (4) Buff Orpingtons. The boys named all of the girls and are quite fond of them. They all have so much personality, from passive to dominant I can already see their behaviors taking shape. The smallest and most docile of my girls is this yellow/orange beauty. A few weeks ago I found her curled up in the coop. She had blood on her face, was missing feathers on her neck with a huge gash. We are not sure what got to her but are guessing one of our dogs or perhaps a predator?! I had to quarantine her in my garage for two weeks. Cleaning her up and keeping her company. When her feathers finally started coming back and she begged to get out. Seriously this poor girl got so loud when she saw me walking out. I finally took her back out with the rest. I am so happy she pulled through and we were able to nurse her back to health. She is always the last to come out of the coop in the morning. I have to coax her with a piece of bread or fruit to get her to leave the coop some days. She is very timid and doesn’t make much effort to fit in with the other girls. We give her space and the girls seem to do the same. We all just keep her as happy as possible. Red, my sweet and only Rhode Island. I am quite fond of her beauty. 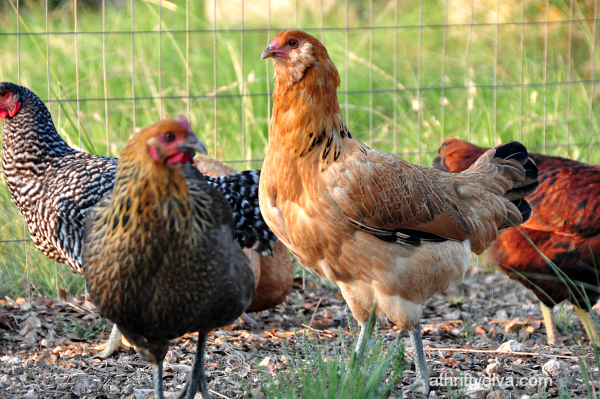 Now cross your fingers with me, that these girls start laying soon. 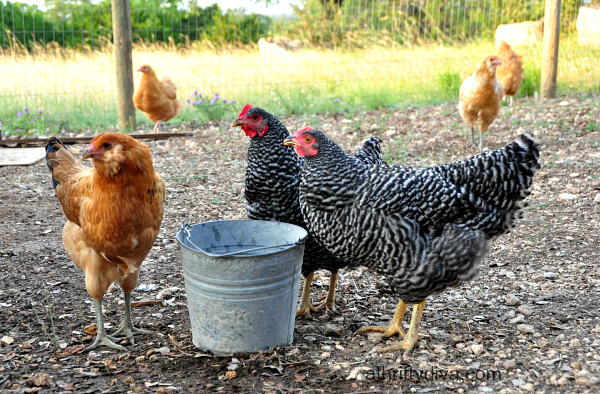 Do you own backyard chickens? I’d love to hear your tips.